I did a lot of research before choosing a training provider to start my AAT Level 2 Foundation certificate in Accountancy. I feel extremely lucky that I found and chose Premier Training to study with. They have been truly brilliant! From the first phone call, to any other correspondence I’ve had, they’ve been helpful, friendly and prompt at responding to emails. Assessments have been marked within the given time (usually earlier) and always with useful feedback and the offer of more help. Running a home and bringing up three small children can be demanding, but with Distance Learning it has made it possible for me to study at my own pace. Life has also thrown me a few curve balls this year and the support I have received from Barry De Graff (my tutor) and Natasha Everard (mentor) has been amazing and has taken a huge burden off me. 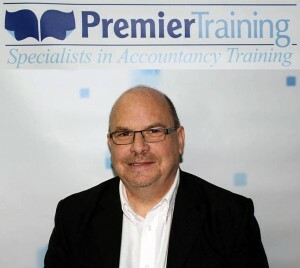 Anyone looking for a Training Provider, I would recommend Premier Training 100%. In fact, I do recommend them regularly on the brilliant Networking Group on Facebook. ← I don’t know where I would be without the flexibility of my studying!